The map below pretty well tells the story. 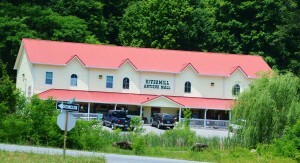 I’ve listed 18 antique stores all within a 40- minute drive of our Smoky Mountain Accommodation. They are located in Sevier and Blount Counties, the towns of Gatlinburg, Townsend, Maryville, Sevierville and Pigeon Forge, TN. If you click on the enlarge map function, the key code will come up on the left. When you are done, click on the back button to return to this page, or you will close the window. I don’t buy too much any more, lack of space and I don’t like a cluttered feeling, but I do keep an eye out for Mayfair Rose Pink Depression Glass and Dixie Dogwood dishware. Both of these sets were my grandmother’s that I snatched when she met her Maker. Over the year, I have filled in both of these collections. With no children of my own, I hope my nephew marries a girl who will delight in using them. If not, the proceeds would probably put their first born through college! In the meantime, yes, I use them at the B&B.